Stainless steel: Where do we go from here? 2015 was an extremely difficult year for the global stainless steel industry, and prospects for 2016 are guarded at best. Surging exports from China are universally cited as the reason. The prevailing belief is that once those exports are reined in by trade actions and excess inventory is reduced, things will improve. That is, the industry will get back to normal. There is no question that Chinese excess capacity needs to be reined in. Many observers offered hopeful predictions that 2015 would be the year the Chinese government moved to eliminate excess capacity, but that possibility faded in the face of China’s slower growth and concerns over possible social unrest. However, even if (or when) a combination of market forces and withdrawal of government support does lead to a reduction in excess Chinese capacity, the global stainless industry will still face significant challenges. It is important to remember that the “normal” industry situation prior to the recent export surge was not all that good when it was here. The problems plaguing stainless steel companies go far deeper than China, and they have been developing for some time. Globally, the industry went into decline well before the Great Recession, and its return on capital employed (ROCE) has been close to zero since 20091. At the root of the industry’s long term problems are the dual tendencies toward overcapacity (which is not exclusively a China problem) and commoditization. Overcapacity grew as companies each pursued ever-larger economies of scale that exceed their “natural” markets, and thus lead to increased exports. Exports were enabled by and progressively reinforced the tendency for simplification and standardization of product specifications, which has accelerated commoditization—and the race to the bottom in terms of pricing. Even as these tendencies continue, other underlying structural changes are taking place that will cause future conditions to be different from those of the past. Chief among these is the acceleration of indirect trade in stainless steel-containing goods. While the industry is focused on trying to limit direct exports from China, indirect exports from China to the United States and other countries are growing at an even faster rate. A combination of low local steel pricing, a weakened Yuan and the desire to increase its manufacturing prowess suggest that this trend will continue. Other countries are following suit. Increasingly competition is between national or regional value chains more than just between producers. Some of the changes facing stainless steel companies are more positive. For example, digital technologies—such as mobile systems, the cloud, Internet of Things and analytics—are advancing rapidly. 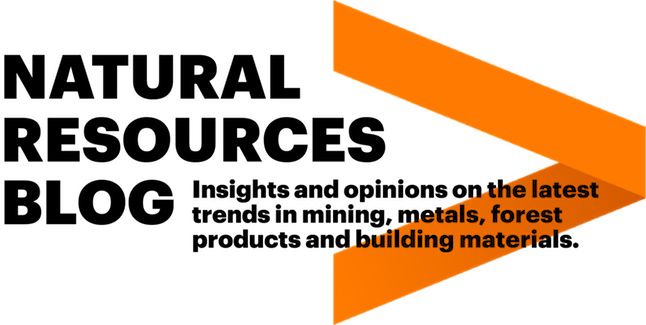 As these are applied to the planning, selling and manufacturing of stainless steel, they are likely to bring significant improvements to the industry’s ability to read and use market signals in production planning, and enable more highly differentiated service-delivery models. The industry also stands to benefit from the emergence of the “circular economy,” which will embrace reuse and sustainability. This will require products to have a longer useful life, which of course is an advantage of stainless steel. The circular economy will also require increased recycling and reusability in the industry and, ideally, the ability to profit from those activities. To thrive in this economy, stainless steel companies can increase collaboration (or integration) across production, distribution and recycling/manufacturing. Overall, it’s clear that a return to the previous “normal” industry conditions is neither desirable nor feasible. The world continues to change. Stainless steel companies that keep pace with that change—and find the new pathways that are opening up—may well find a way out of the lingering crisis that has frustrated the industry in recent years. 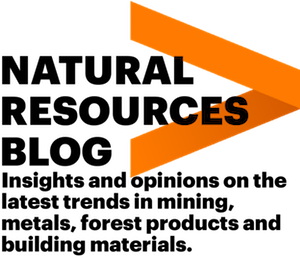 1Accenture analysis of company financial disclosures.